Hotel Storchen is located on a busy road between the two small towns of Olten and Aarau in Swiss Mittelland. Its setting is nothing to write home about, but the amiable hosts, Monika und Peter Lustenberger, made the best out of it. 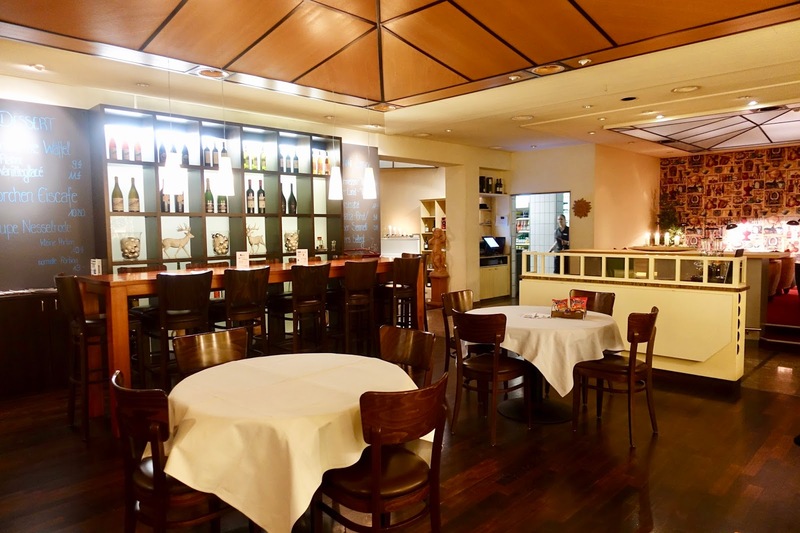 As to the facilities, there are the already mentioned casual restaurant Bistro-Lounge, the more upscale Restaurant La Cuisine and an outdoor area. A few months ago, both dining-spots were remodeled and their concepts were slightly modified. As far as the Bistro-Lounge is concerned, the lounge/bar area was enlarged. Regarding the upscale La Cuisine (awarded with 13 points Gault-Millau), there is now all about an in-built historic cuisine with diverse cooking utensils depicting 100 years of hospitality industry, which comes to use for certain occasions/events. Speaking of those, there are quite a few activities going on at the Storchen such as murder mystery dinners, literature events etc. 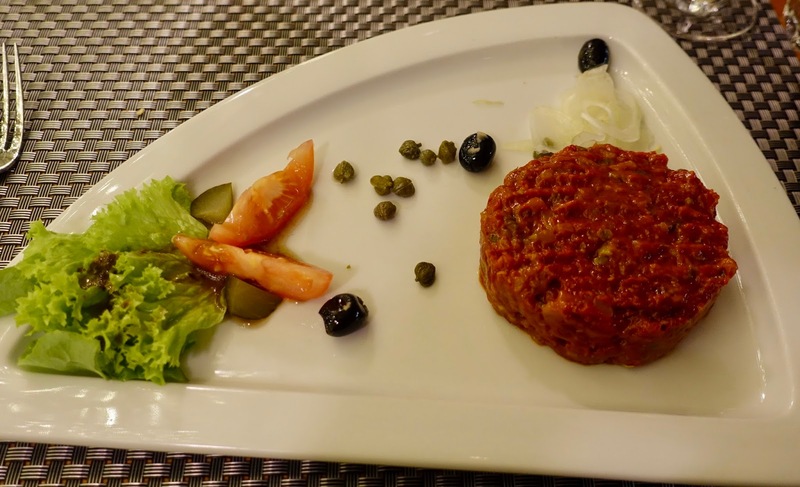 Mediterranean, French inspired cuisine is on offer at this pleasant bistro-style restaurant. On the menu you find grilled meat dishes, classics and tartes flambees (Alsatian pizzas). The cuisine may – with a few exceptions – not be overly inventive, but this is not supposed to be. In case you want to have a more refined dining experience, you can have dinner at the upscale La Cuisine. My family visits the Bistro-Lounge once or twice a year because of the constantly high level of food and preparation. We also appreciate that sound value for money is offered here. 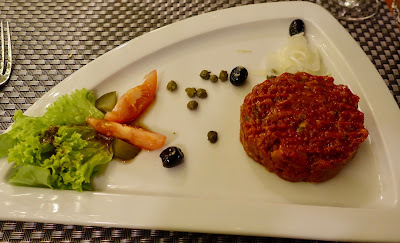 As a plus, some of the dishes of the fine dining restaurant La Cuisine are also available here, which gives you the possibility to enjoy signature cuisine in a casual setting. 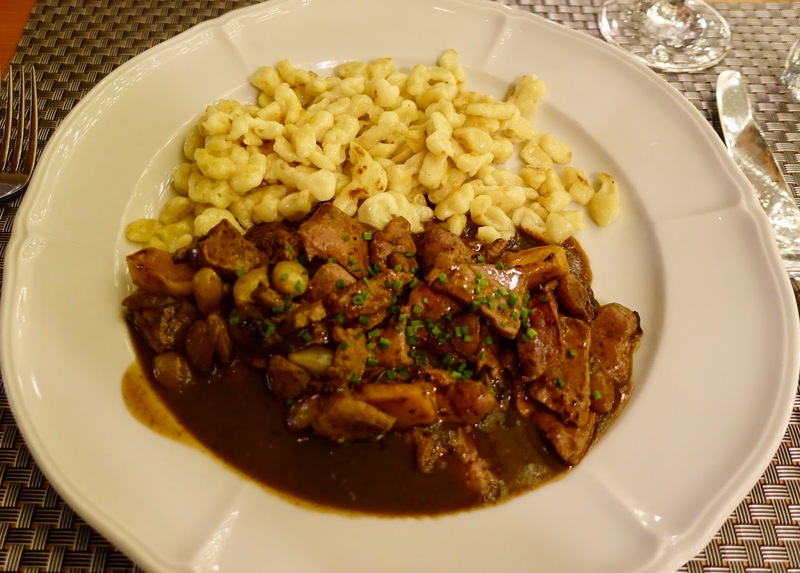 On the occasion of our last visit, my husband and I opted for classics: he had the beefsteak tartar and I chose the calf’s liver with spaetzle. Both dishes were immaculately prepared and tasty. 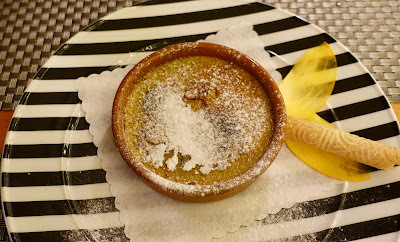 For dessert, we shared a delicious coffee crema catalana, which was as it is supposed to be: a thin sugar crust with a cream having a delicate coffee flavor and not being warm as it is unfortunately often the case. As indicated before, the hosts do a great job to let you feel welcome. This is especially the case with Monika Lustenberger. Her way in dealing with guests is exemplary. She is a kind person who is always ready to be of service and this with a smile. A great addition to the team is also Katharina Brust, chef de service, whom we learnt to appreciate at another restaurant in the area. As far as the rest of the staff is concerned, there is generally nothing but praise for their performance. 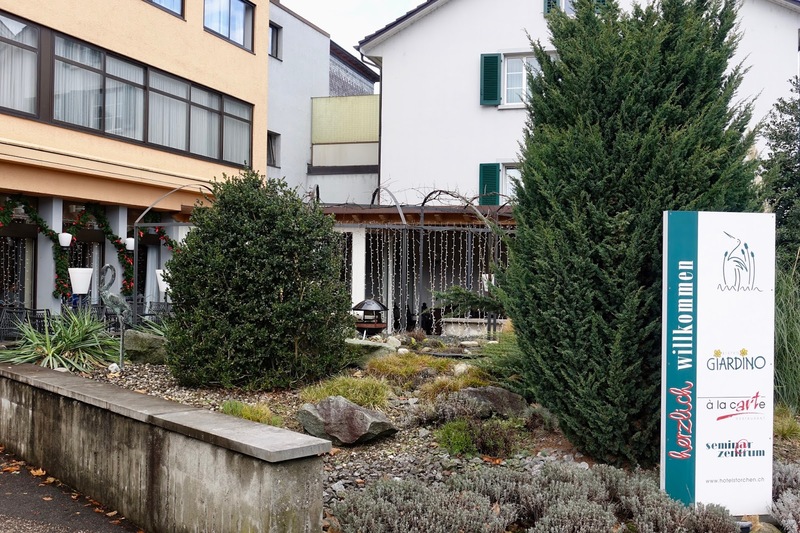 Hotel Storchen, located between the towns of Olten and Aarau, features a casual bistro-style restaurant with likewise food – which is the subject of this review – and a fine dining spot offering traditional cuisine modernly inspired. The bistro-lounge is the ideal place for a casual dinner, either for a quick bite or for classics. My family has been going to the Storchen for dinner many years and the standard of food and service never fails to impress.